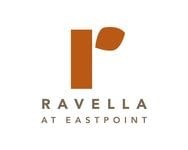 Ravella at Eastpoint Apartment Homes, a garden-style community located in a serene suburb in Baytown, TX. Residents of this new community will enjoy a comprehensive living experience complete with modern apartment and resort-like amenities. Ravella is a beautiful community with professionally landscaped courtyards, towering palm trees and walking paths that connect you from one amenity to the next.